Samsung is not done yet with its previous flagship device the Galaxy S3, I thought the S3 Mini was the last one to bear the name, but very recently the Korea-based tech company just revealed the Samsung Galaxy S3 Neo+. Looks like Samsung is current fond of using the "Neo" in its new gadget naming as early this month there was an image that leaked online showing the rumored upcoming Samsung Galaxy Note 3 Neo and its supposed specs. As its name says, the Galaxy S3 Neo+ bears the same physical design of the original S3 smartphone that was released in 2012. And upon checking the specs the S3 Neo Plus is offering, almost every specification is the same as what are found in the Galaxy S3 Mini. For example, both devices have 4.8-inch Super AMOLED display which is 720p resolution that is equivalent to 306ppi or pixel per inch. Right out of the box and under the device's hood are the 1.4GHz unnamed quad-core processor and 1GB of RAM. Internal storage will right away provide you 8GB of space minus the pre-installed software and features and apps. The device also supports microSD card for memory expansion. The battery size is also the same giving users 2,100mAh energy juice. There are two things that I currently see in the S3 Neo+ that are not in the first S3, first is the new one is running Android Jellybean OS, although not the most recent Android 4.4 Kitkat, at least if one stp up from the Ice Cream Sandwich that was with the first Galaxy S3 when it came out. 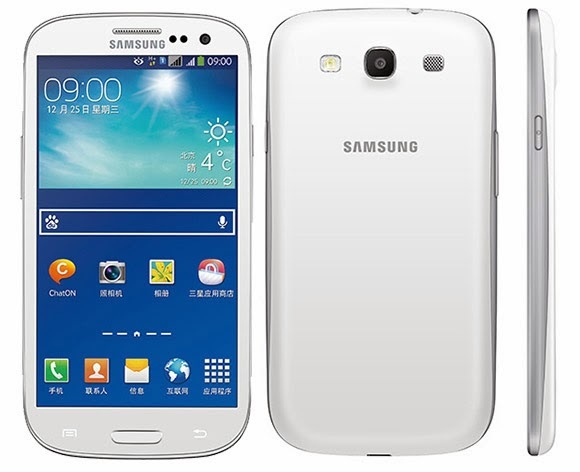 Then, the second one is this new S3 smartphone support dual-SIM functionality. Samsung Galaxy S3 Neo+ features 8MP rear camera which sports LED Flash and can record a full HD 1080p video. There is just one not so good news (for now probably), this device is currently launched in China and as of writing there is no word yet if this latest Samsunng smartphone will be rolled out outside of the country. We'll see if additional details will be released in the future about this Galaxy S3 Neo+.